RCVS Honours and Awards 2019: who will you nominate? We are looking for veterinary surgeons, veterinary nurses and laypeople who are working above-and-beyond for the benefit of animal health and welfare, the veterinary professions and/or public health, as it launches its honours and awards scheme for 2019. The Queen’s Medal: the highest honour that can be bestowed upon a veterinary surgeon for a highly distinguished career with sustained and outstanding achievements throughout. The Veterinary Nursing Golden Jubilee Award: this award is aimed at veterinary nurses who have had a sustained and distinguished career, who can demonstrate a leadership role within the profession and who can act as an ambassador for the value of veterinary nurses and their work. RCVS International Award: this award is for vets, vet nurses or laypeople who work internationally, from either within or without the UK, in making an outstanding contribution to, for example, raising veterinary standards, veterinary education and improving animal health and welfare. RCVS Impact Award: this award is for vets or vet nurses who have recently, or are currently, undertaking a project, initiative or similar that has a significant impact on the profession at large, animal health or welfare, or public health. Such impact could have been made through any field of veterinary endeavour, including clinical practice, research, education or veterinary politics. RCVS Inspiration Award: this award is for vets or vet nurses at any stage of their career who have demonstrated the ability to inspire and enthuse others consistently throughout. It is open to those who have inspired and motivated individuals anywhere within the profession and recognises those who have gone ‘above and beyond’ what may normally be expected from a professional colleague. Honorary Associateship: this honour is conferred to a small number of laypeople each year, in recognition of their special contribution to the veterinary sphere. It recognises the full range of individuals who contribute to the veterinary sphere including scientists, lecturers, journalists, charity-workers, farriers, farmers and those involved in the commercial field. For this year’s honours and awards nomination period, the College has produced a video using footage from Royal College Day 2018 and featuring interviews with those who were recognised with RCVS honours and awards on the day. These include Queen’s Medal recipient Professor Peter Clegg (pictured right), Impact Award recipient and co-founder of StreetVet Jade Statt and International Award winner and Ethiopia-based veterinary advisor for the Brooke equine charity, Dr Alemayehu Hailemariam. The video is available to view at our dedicated honours and awards page where visitors can also download further information and guidance about the criteria for nominators and nominees for the awards, as well as how to make nomination. We have also published a suite of podcasts featuring interviews with this year's award recipients. Dr Niall Connell (pictured right), RCVS Junior Vice-President, is taking the lead in promoting the awards this year. 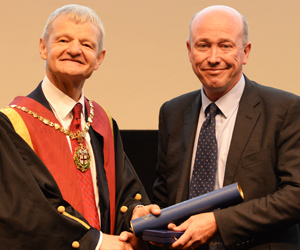 He said: “Throughout my time in the veterinary profession, and particularly since joining RCVS Council, I have met so many veterinary nurses and veterinary surgeons who are truly inspiring individuals. 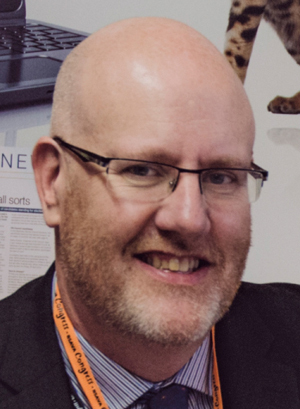 “The RCVS honours and awards scheme is a perfect opportunity to celebrate some of the individuals that have done or are doing something really special – whether that’s by inspiring their colleagues and peers or doing things that benefit animal health and welfare or society at large. To make a nomination, visit the honours and awards webpage and click on the link for the specific award. This year applications can be made either through an online-only application form or by downloading a PDF application form and emailing or posting it to the RCVS. The deadline for nominations is Friday 18 January 2019. All nominations will be considered by the Nominations Committee at the February meeting of the RCVS Operational Board and then at the March meeting of RCVS Council. All awards will be conferred at Royal College Day 2019 which takes place at the Royal Institute of British Architects on Friday 12 July 2019. For an informal talk about the awards and how to make a nomination you can contact Peris Dean, Executive Secretary, on p.dean@rcvs.org.uk or 020 7202 0761.